I’ve moved a lot in my adult life. For never having moved from my childhood home until college, I have had quite the shuffle ever since. In fact, my parents still live in my childhood home and will likely remain there for the next many years (don’t prove me wrong, ma!). Selfishly, I love going to their home, our home, and it actually feels like home to me still. Moving for college is not only inconvenient because your dorm, sorority, house, or apartment will likely change from year-to-year, but you also have to move everything out in May when summer starts and back in in August when classes resume. Undergrad, therefore, totaled 8 moves in and out during the 4 years. My personal favorite? The 5th story of a 3-story apartment (with spiral staircases). Guess who was on the third level? Grad school was a little better as I only lived 2 places, yet it was over a very brief 15 month stretch of time. From there, I packed up a few huge suitcases and lived in Italy for a summer with Mr. P while he was on an ex-pat assignment for 2 years. Talk about a long distance relationship. From there, it was then off to Tulsa, Oklahoma to move into my first home with Mr. Prevention. It was a great first house with a killer kitchen for me and a 3 car garage for him. But, we only stayed a year and a few months. I hated leaving Tulsa. As a Chicago girl, there was something about Tulsa that was so refreshing. I loved the people…my job…and my patients. I miss them to this day and sadly, I’ve never been back. Even more sadly, I haven’t seen anyone other than a few of my old coworkers at a diabetes conference in Indianapolis (and that was just a complete coincidence!). Next was Ohio and while I wasn’t thoroughly impressed with Ohio as a location, I miss people from Ohio (like Gina, Christin, and Donna). And now, we’re in southwest Michigan…all within the course of 10 years. Pretty crazy. Every time I’ve moved, I’ve had great intentions of seeing the people I leave behind. I hate goodbyes, so I always convince myself that it’s never a goodbye, it’s always a “see you later!”. When I left Ohio and Donna, though, I knew it was a “See you later!”, not a goodbye. Donna and I had just formed a relationship that couldn’t be broken and no distance would keep us from keeping close. In the past year since I moved away, Donna and I have seen one another 4 times. She’s here this weekend, in fact. With her hubby. Last night we went to the beach, talked until too late, drank some great beer, and reheated this Quinoa and Black Bean Veggie Chili for dinner as we played round after round of Chronology and Cards Against Humaity. They’re so easy to entertain and even easier to feed…every time Donna is here, all she wants is leftovers. But this chili got a thumbs up from all – even the guys! The 4th annual chili contest is off to a great start! Vegan and gluten-free with some heat. 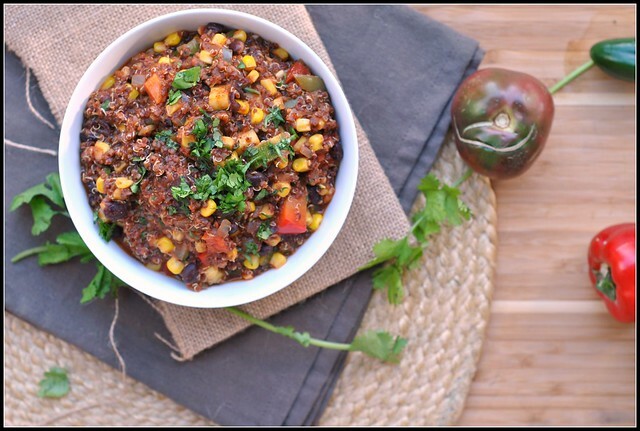 This fiber-packed chili is full of traditional flavors and not-so-traditional ingredients, like quinoa. 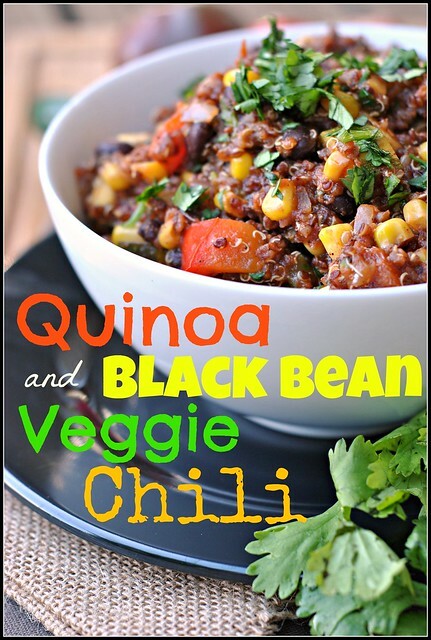 However, the quinoa in this works great...and personally, I love the zucchini addition, too! Bring the quinoa and water to a boil in a saucepan over high heat. Reduce heat to low, cover, and simmer until the water has been absorbed, about 15 to 20 minutes. Turn off heat and set aside. Meanwhile, heat the oil in a large pot over medium heat. Stir in the onion, and cook until the onion softens and turns translucent, about 5 minutes. Add the garlic, chili powder, and cumin; cook and stir 1 minute to release the flavors. Stir in the tomatoes, beans, bell peppers, zucchini, jalapeno pepper, chipotle pepper, and oregano. Season to taste with salt and pepper. Bring to a simmer over high heat, then reduce heat to low, cover, and simmer 20 minutes. After 20 minutes, stir in the reserved quinoa and corn; heat through, about 5 minutes. Remove chili from heat and stir in the cilantro to serve. Hi Melissa! You can definitely leave out the chipotle. If you want the heat, just add a second jalapeño! I have moved a lot within past 6-7 years but i am finally starting to feel like Dallas is home.. 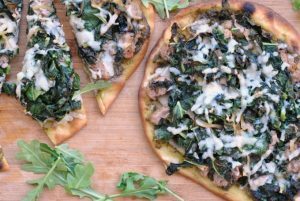 I hope you guys have a wonderful time and on a side note – your cookbook is awesome!!!!!!! Have a great day with Donna today! Aww, I miss you too Nicole! And Nick is sitting here with me and mad that you don’t miss him (I assured him that you do, don’t worry). 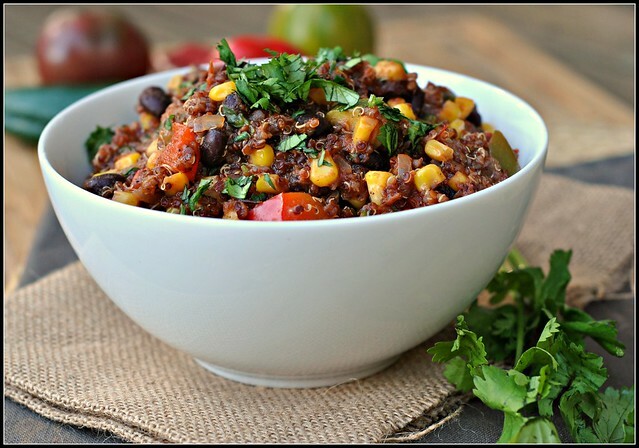 This is something I’ve always wanted to do; add quinoa to my chili. I think it’s brilliant. Of course, I would probably also add some meat 🙂 I don’t know why I can’t have meatless chili!! I just like the texture of the ground meat in chili…I guess. I can’t even imagine packing and unpacking that many boxes and moving vans Nicole! Hopefully you get to keep the packing tape in the closet for a few more years. 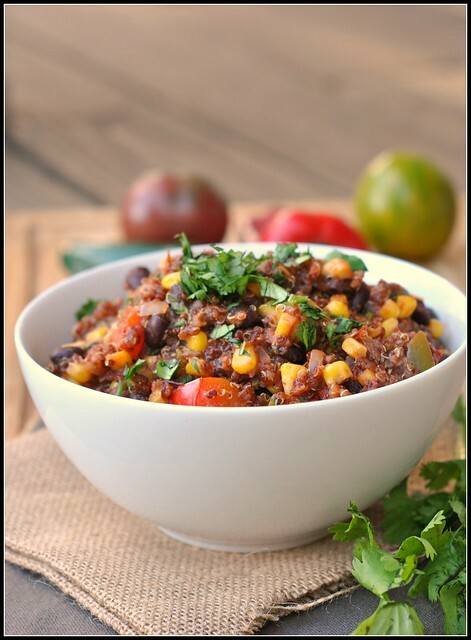 🙂 I’d never thought to put quinoa in chili before, but that’s such a great idea. 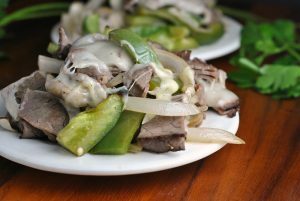 With your colorful and appetizing photos, I might even be able to convince my picky-eater-guy of the same thing! I am the same way – once I leave a job, even if I’ve eaten lunch with you every single day for a couple years, I rarely keep in touch with people. It’s like I just close that chapter of my life and move on – so crazy! Hey FYI quinoa’s origins are with the indigenous peoples of Mexico and Central America so it really is a traditional ingredient.